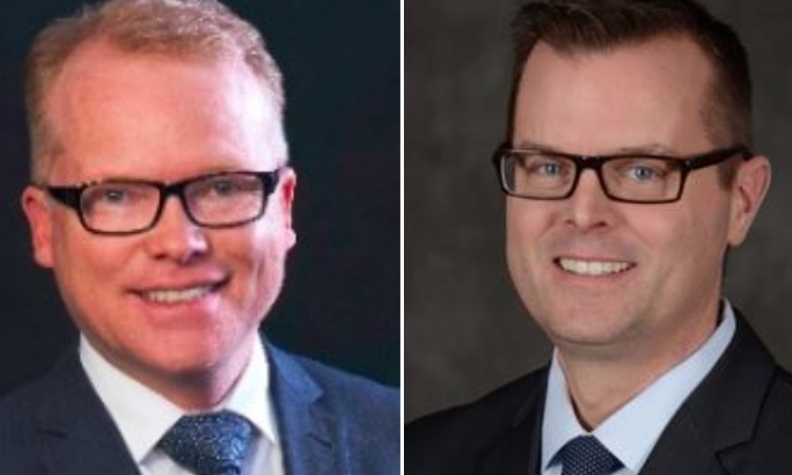 Steve Milette, left, will replace Michael Soutter as Nissan Canada regional sales operations vice-president. Nissan Canada regional sales operations vice-president Michael Soutter has been promoted to division general manager of global aftersales at Nissan Motor Co. Ltd. He will be based at the automaker’s head office in Yokohama, Japan. Soutter, a Canadian with an MBA in strategic planning from the Schulich School of Business at York University, joined Nissan Canada in 2013 and has 15 years experience in the auto industry. He assumes his new position Sept. 1. Soutter will deal with accessories, customer satisfaction and quality. Nissan Canada has hired Steve Milette from Hyundai Auto Canada to replace Souter. MIlette starts his new job July 31. Milette was head of sales at Hyundai and previously worked at Bombardier Transportation North America and General Motors Canada.